Reluctant readers versus avid readers. We all have them. We work hard to keep the avid readers excited and challenged. We work hard to get the reluctant readers excited and challenged. How do we do this? In so may different ways. Engaging lessons, book choice, celebrated successes, providing books of interest, book clubs...the list goes on. And I know as teachers, we will never stop searching for those ways to excite, engage, and challenge. To become better at anything in life, we need practice. To become a better reader, students need to read. 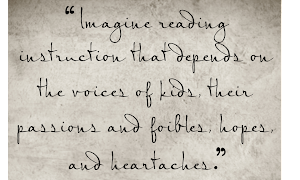 And some of our reluctant readers don't read as often because they feel that they can't or that it is too hard. They need to feel successful and there is something to be said about reading without any judgements being made. 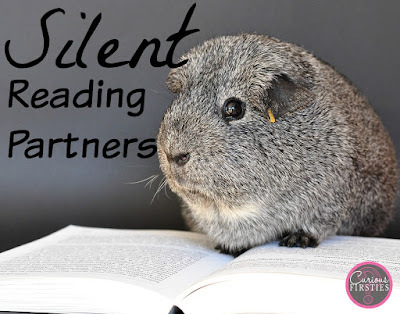 Silent reading partners can provide this. 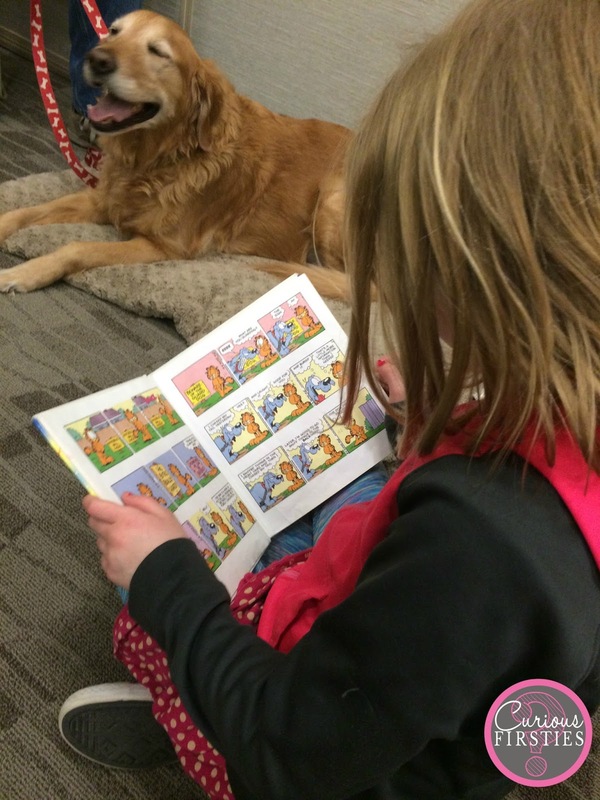 This past week my daughters participated in a "Tail Waggin' Tutors" program at our local library. The energy was at all-time high in our home before and after the event. They each picked out a book to take with them and they read to two dogs each. Bookmarks with a picture of the dogs were in each of their hands on the way out the door. These silent reading partners provided both excitement and challenge to my readers. For my youngest (kinder), she walked away with a book that she wanted to try to read to me--but would have told me prior that she could not read it. For my oldest (firstie), she walked away eager to share her experience and tell about all the jokes she shared with the dogs. The dogs listened. No judgements made. 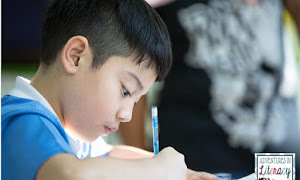 Don't get me wrong...students need to have the feedback that we provide them during guided reading groups or that parents provide when reading at home. Students need the modeling of a choral read, echo read, or repeated reading. 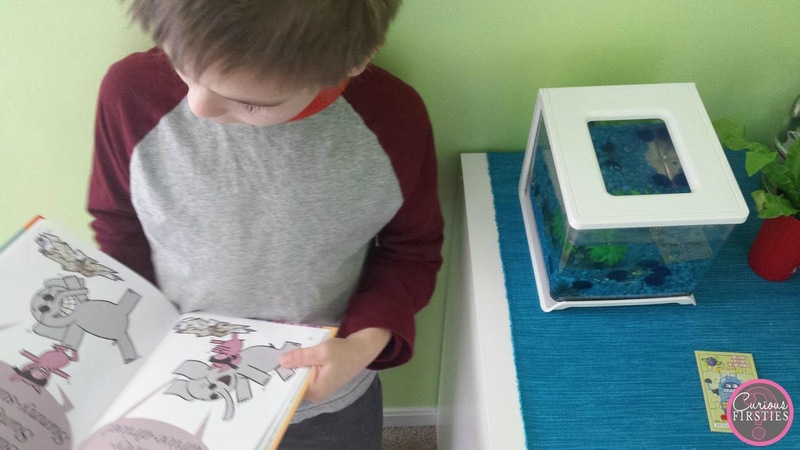 Students need to hear strong, engaging read alouds. They need to read books at their instructional and independent level. But they also need to read because they just want to read-without judgement, without feedback-without agenda. Just read to read. This doesn't have to occur only through a great program that comes to the library or our schools. Maybe it is a pet in the home or a baby sibling. 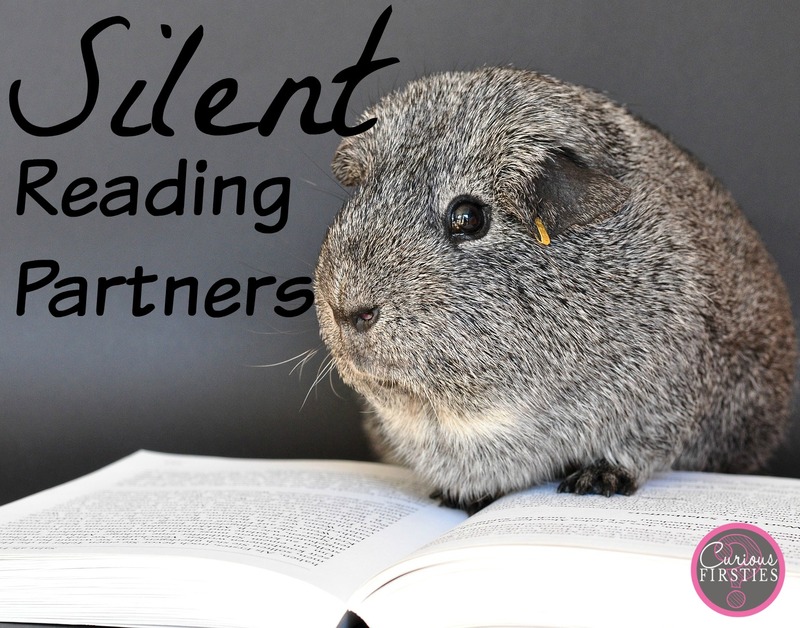 The opportunities for a silent reading buddy may already be present. At the beginning of the year, my teammate lined up all the reading buddies she had bought at garage sales over the summer. 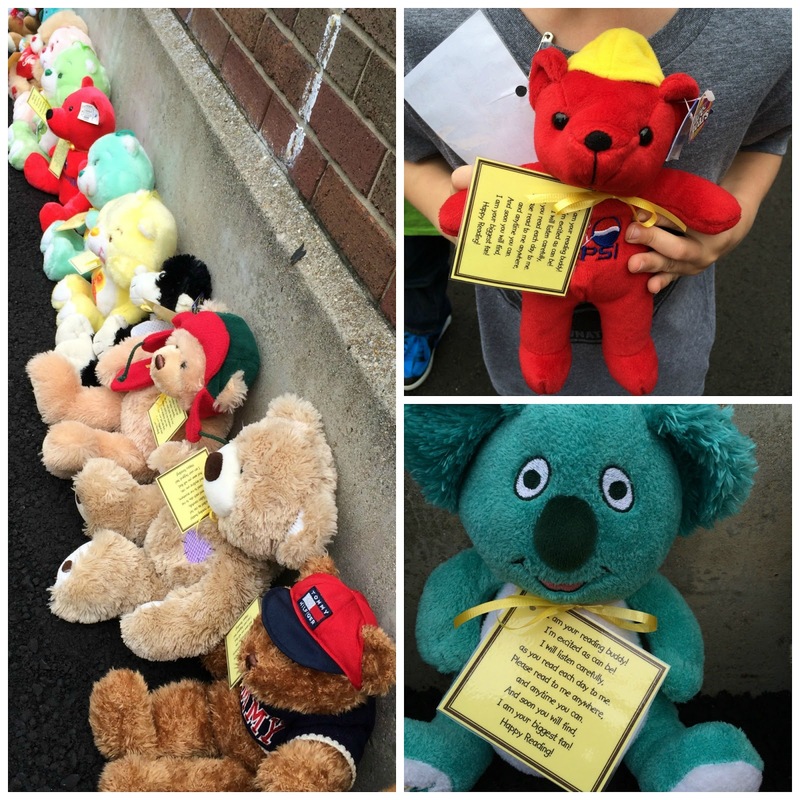 Each student in our grade got to take home a buddy to read to each night. Some students do not have a family member to read to, or a parent that is going to encourage read aloud time each night. The hope is that this little silent reading partner can excite and challenge our reluctant and avid readers. 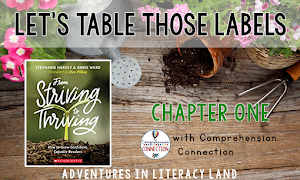 As spring begins to show its face and summer is on the horizon, I begin thinking about what I have done and what more I can do to ensure that my students keep reading. Even when I am not there to listen. I loved your post! Thank you for sharing. Now I am thinking of finding reading buddies for my students as well. I am so glad that you enjoyed and that it made you think! I love posts that get me trying some other things. 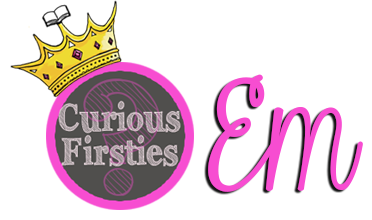 I can't wait to hear what you find! I do the same thing. I love the tags on the animals. We call our our silent reading friend. 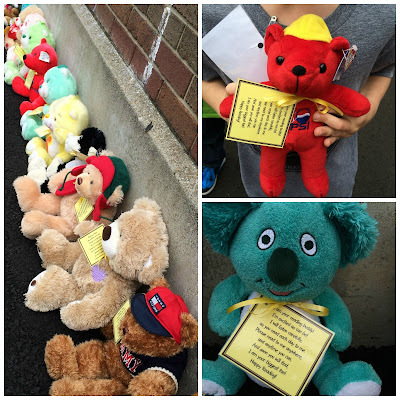 It's a great way to reuse my own children's stuffed toys and give my kinders a new friend to read with. They love it.